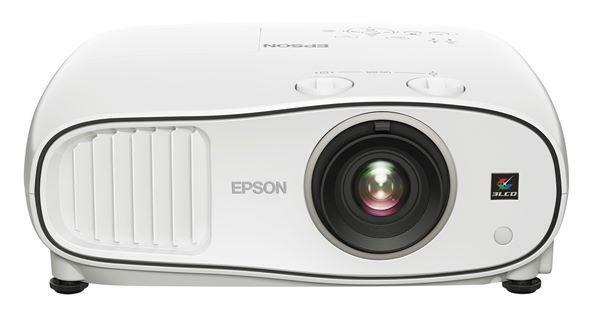 The new Optoma H30 is currently one of the strongest competitors in the economy class home theater projector market. It is one of the lowest priced DLP-based video projectors, and certainly the first one under $1500, to feature a six-segment color wheel with a 4x rotation speed. It has received a lot of attention for this feature alone. After putting it through its paces in the lab, we find this unit to be a superb value for the money. It will be the right choice for many first time home theater enthusiasts. Specifications. 800 ANSI lumens, 2000:1 contrast, 800x600 native resolution, native 4:3 aspect ratio, single-chip DLP with 6-segment, 4x wheel rotation speed. Compatibility. HDTV 1080i, 720p, 576p, 576i, 480p, 480i, and computer resolutions up to SXGA (1280x1024). NTSC, PAL, SECAM. Lens and throw distance. Manual zoom and focus with a moderate 1.2x zoom range. A 100" diagonal 4:3 image is obtained in the range of about 12 to 14 feet. If you opt for a 16:9 screen format, a 100" 16:9 screen can be filled from a distance of about 13 to 15 feet. Lamp. 180W P-VIP lamp with 2000-hour lamp life. Replacement lamp is $399 retail, which is typical for this class of product. Connection panel. Located on the rear of the unit. Compared to projectors specifically designed for home theater, connectivity on this unit is limited. There is one 15-pin VGA port through which all component and HDTV signals are fed, one S-video port, and one composite video jack. An adapter is included with the unit that lets you interface a standard 3 RCA component video cable to the VGA port. The Optoma H30 is a compact, 4.6 lb. video projector that is a variation on the design of Optoma's EzPro 731 portable data projector. It uses the same basic chassis and connector panel as the 731. And like the 731, the H30 is limited to one VGA port for component/HDTV/data input. Meanwhile it duplicates the 731's VGA output for monitor loop through--a great feature for the education market, but not relevant for home theater. We would have preferred to see a component or DVI input instead of the VGA output. However this would no doubt have driven the price of the product up as well. Such are the trade-offs in using common design and parts for both commercial and home theater markets. The good news is that by using some of the same components, the unit cost to manufacture is lowered. Thus the consumer wins by getting a very low-priced DLP projector with a 6-segment, 4x color wheel. By going to a 6-segment (RGB-RGB) color wheel, brightness is reduced (compared to the commercial design) since there is no white segment in the wheel. As is true with most digital video projectors, the 800 ANSI lumen rating is a best case scenario, and not relevant for optimum video use. After selecting the most advantageous settings for video, the real lumen output is closer to 450--not an unusual drop, percentagewise, from the theoretical rating.